​Two Southampton fans were seen making aeroplane gestures towards Cardiff City supporters when the two sides met on Saturday, days after Cardiff forward Emiliano Sala was confirmed to have died in a plane crash. A plane carrying Sala and pilot David Ibbotson disappeared on the way to Cardiff in late January, and Sala was confirmed dead on Thursday after his body was located in the submerged wreckage of the aircraft. According to ​BBC Sport, ​Southampton plan to issue bans to the two individuals in question, who were also spoken to by Hampshire police. 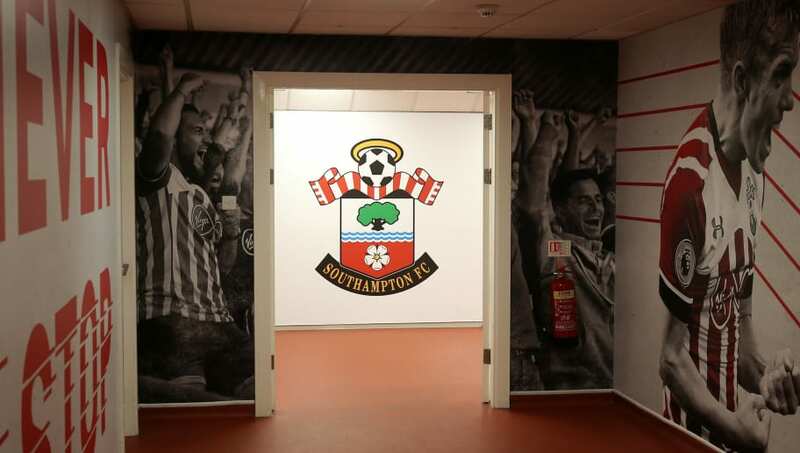 A club statement read: "Southampton Football Club can confirm that two fans were detained and had their details taken by police during our match against ​Cardiff City on Saturday. "The club will continue to work with Hampshire Police to identify any individuals deemed to have made indecent gestures towards Cardiff supporters. "The club will be taking an extremely firm stance against anyone involved and intends to ban those supporters identified. "Such behaviour has no place in our game and will not be tolerated at St Mary's." A minute's silence was observed before the match, whilst tributes were also laid to Sala, who became the club's record signing when he secured a £15m move from Nantes during the January transfer window. After taking the lead through Sol Bamba, Cardiff were pegged back as Jack Stephens netted a late equaliser. However, the Bluebirds remained positive and a 93rd-minute winner from Kenneth Zohore saw Cardiff climb out of the ​Premier League relegation zone, with Southampton taking their place in 18th. Cardiff manager Neil Warnock dedicated the dramatic victory to Sala, saying: "We wanted to do it for Emiliano and I'm really proud the lads have done him justice."